The Dec. 1 editorial, “Park City’s accelerated green goals match the urgency of the moment” showcases Park City’s laudable efforts to address climate change at the local level. Understanding that addressing climate change at all levels — individual, municipal, state and federal — is key given the urgency of the situation. 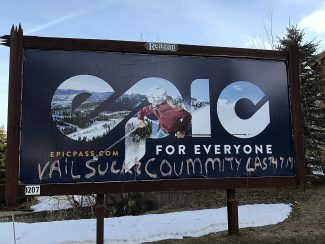 Park City has taken tremendous steps to ensure they are doing everything possible to address this issue, including influencing other municipalities. However as noted, the impact of one city is limited. The referenced United Nations report outlines the impacts of climate change in the next few decades. The economic impacts of doing nothing far outweighs the cost of taking action to protect the health of all living things throughout the world. The United States has the opportunity to be a leader in this area and now there’s been an important step in this direction. A bipartisan group of three Republicans and three Democrats recently introduced the Energy Innovation and Carbon Dividend Act (HR7173). This bill would place a steadily rising fee on carbon pollution and return all revenue to households equally. This bill (a) is a market-based approach, (b) will drive down carbon pollution while putting money in people’s pockets, (c) is good for business and will create jobs. Please ask your congressional representative, Rob Bishop or John Curtis, to support this important legislation. It is critical for our leaders to work together to address the threat of climate change by enacting the Energy Innovation and Carbon Dividend Act in the next Congress. Learn how you can become an effective advocate with the support of Citizens’ Climate Lobby, citizensclimatelobby.org. My sincere thanks to my fellow dog lovers at Runamuk for helping me find my dog Prince on Sunday afternoon. I’m especially thankful to the people who did an extra lap to look for him, the couple who drove up the road to the Utah Olympic Park in case he somehow got out of the fencing, the two women who were more social-media savvy than me and got alerts out that he was missing, and most importantly, the couple who did what I should have thought to do and searched the high trail that interconnects with the UOP trails. You found Prince out on his adventure, blissfully unaware of the nervous wreck he had made me. I’m sorry I didn’t get your name, but am so thankful for your willingness to go out of your way to track down Prince. Runamuk is a great community amenity, not just because dogs can romp and play, but because it also brings together a group of like-minded, empathetic dog owners. My Husband, Gary, and I volunteer for the Park City Institute in the winter and we enjoy the performances in the summer. On Dec. 1 we went to the organization’s performance of Red Molly with a group of friends. The performance was not well attended but everyone in our group enthusiastically enjoyed the show! None of us had ever heard of Red Molly but we are now fans of this wonderful female trio. There was a lot going on that night so people had multiple options for their evening entertainment so that may have contributed to the low attendance. However, I think people who have never heard of the Institute performers are reluctant to buy tickets because they don’t know what they’re getting for their money. I understand that, but in the words of Abba “take a chance on me” and explore new territory. 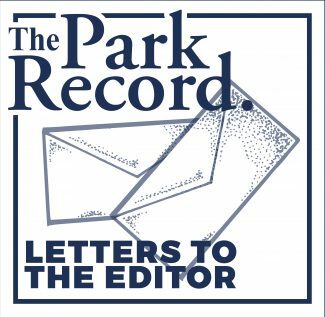 I think you will be pleasantly surprised, but if not, you will have supported the arts and the Park City Institute, a gem of a nonprofit in Park City.